I have been distressed beyond words by what has crystallized as an agitation for Biafra’s divorce from Nigeria. I am disturbed that this agitation has become another occasion for the Nigerian state to demonstrate its disdain for the rule of law and the rights of citizens. I’m appalled by the violence spawned by the actions of the agitators and the state’s reaction. The immediate impetus for the violent turn is the continued detention of Nnamdi Kanu, leader of the Indigenous Peoples of Biafra (IPOB), indeed the rabble rouser-in-chief of the neo-Biafran cause. The government ought to release Mr. Kanu immediately, both because that’s the wisdom of the court and it’s the quickest way to defuse tension. But Mr. Kanu’s release will not, by itself, erase the frenzied propagation of Biafra, an idea that represents a nightmare to some, and a fantasy to others. Sooner or later—sooner, one hopes, than later—Nigeria has to confront the inescapable question of what it means to be called a Nigerian. That question (or the reluctance to engage it in any serious and sustained way) is one reason Nigeria has remained an alien and alienating idea, and susceptible to frequent acts of rejection by its ostensible citizens. Periodically, those expressions of everyday individual resentment and disaffection build into mass resistance. It’s important to put the agitation for Biafra in the broader context of Nigerians’ longstanding disillusionment with their country. For the avoidance of doubt, this is no new phenomenon. Nigeria’s two literary giants, Wole Soyinka and the late Chinua Achebe, have wrestled with the confounding matter of Nigeria. A few years ago, Nobel laureate Soyinka asserted at a series of talks he gave at Harvard University that there was no nation yet in the space called Nigeria. Years earlier, Achebe had said to me in an interview that Nigeria had not yet been founded. Nothing in the two writers’ claims amounted to a repudiation of Nigeria as such. No, they were making what I’d call statements of fact. The fact that Nigeria had yet to achieve a sense of national identity did not imply that such a prospect was doomed. I’d say that the two writers were warning the rest of us about what needed to be done in order to translate the abstract, ill-formed idea called Nigeria into a concrete, organic, salutary and regenerative reality. 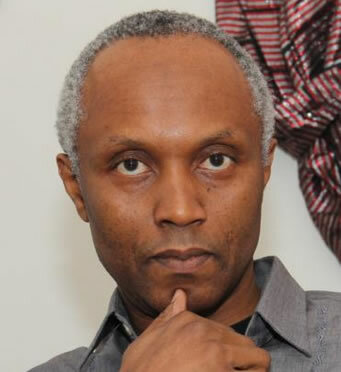 Owing to the ahistorical mindset that shapes much discourse in Nigeria, some people on both sides of the Biafran debate have proceeded as if there was something unique or exceptionable about Mr. Kanu’s separatist advocacy. No, it is a variant of rebellions that have periodically cropped up since the British cobbled together the space called Nigeria. In more recent times, such rebellions had baptized themselves with such names as the Odua Peoples Congress (OPC), the Movement for the Emancipation of the Niger Delta (MEND) and—in its religionist hue—Boko Haram. If the current agitation for Biafra has any claim to uniqueness at all, it lies in the fact that, between 1967 and 1970, Nigeria fought a thirty-month war to suppress the secession of Biafra. I was a child during that war, shielded the best way my parents could, but I experienced the Biafran War’s horrendousness and horrific cost. I saw firsthand the devastation, on limbs, nerves, dreams and space, that war wrought. Some historians estimated that more than two million people perished, most of them children, most from starvation. Anybody who’s followed my writing for any length of time would know that, like Soyinka, Achebe and many others, I am not enamored of the pathological state of Nigeria. I believe Nigeria has been an extremely prodigal construct, wedded to colossal squandering of lives and other resources, with little or no positive result. Let me quote from that essay at some length. I wrote, “There is a sense in which the name of the malaise afflicting Nigeria is Biafra. I have argued before—and I must do so again—that Nigeria’s refusal to confront and address the sore of the Biafran War is the chief reason no nation has been able to materialize out of the space called Nigeria, no peace has been had in that space, and no real progress—much less development—has been recorded. As the world watches, riveted, Nigeria is spinning and spinning in a dizzying, ridiculous, violent dance, racing ever closer to the edge of that jagged precipice we have all romanced for fifty-four years—if not before. “I’m not going to be detained by contested, contending accounts of the Biafran struggle, or even questions pertaining to whether the quest for secession was inevitable. At minimum, we ought to agree that Nigeria, from the moment of its British conception, was neither essential nor natural. It was, above all, convenient and profitable for the British. And all the logic that informed its constitution made eminent sense, finally, mostly from the prism of British interests. “When the British removed their bodies—but not necessarily their spirits and ghosts—from the Nigerian space, we all had a historical duty. That duty was to pause and ask the question, what does Nigeria mean? It was to determine whether we all—the 400 odd ethnic collectivities that the British bracketed inside the space called Nigeria—wished to maintain the shape of this British design. It was to discern whether we all—the constituent elements of the space—felt sufficiently animated by the prospect of living together, fraternizing as a people with shared aspirations and common destiny. In the event that we all found Nigeria an irreducible, compelling proposition, then we should have hatched out the terms of our coexistence. We should have sketched out our imagination of Nigeria and spelt out what it meant to be called a citizen of Nigeria. In other words, we should have commenced the task of remaking the British-delineated space called Nigeria into a veritable, vital, and robust nation. Had we done this, we would have acquired some kind of compass for navigating our self-fashioned nation towards the direction of our own envisioning. “We did not as much as attempt to grapple with that arduous, messy, but inescapable process of nation-formation. We settled for the British-made illusion. We were content to take the British confection of a Nigerian idea and run with it. We pretended that there was some inherent logic to Nigeria, that it was coherent and organic, a full redemption of some promissory note, almost a divinely designed imperative. “Perhaps we shirked this duty out of laziness, a sense of convenience, or a naïve faith in the British. Perhaps, then, we believed that Nigeria was a nation just because imperial Britain had seen fit to outfit the space with roads that linked its different parts as well as such accouterments of the modern state as postal and telegraph services, railways, the police, prisons, schools, and a cadre of civil servants. Next week, I will examine the current agitation for a renascent Biafra as a form of ill-advised adventurism, one that is antithetical to core Igbo interests, and a too-easy, but ultimately dubious, answer.